As some of you may have gathered, things have been pretty frantic down this way lately, both on the crime fiction-related front and elsewhere. I have still been reading lots, although sometimes I'm not entirely sure where I've found the time - the good news is its become such a good habit that I'm still reading even when I'm really, really busy. It's a good way to relax and unwind. Though I am pretty behind in my reviewing (the other day I tallied up about 16-17 books I'd read fairly recently and not yet reviewed anywhere, oops). The thing is, I've had a big run of reading-related commitments in the past couple/few months, from books that needed to be read in preparation for various Weekend Herald and Good Reading feature articles, to various reviewing commitments with new books - so I haven't been able to address some other terrific books in my TBR pile that have been sitting there for quite a while. "Is anyone really safe? Not necessarily. 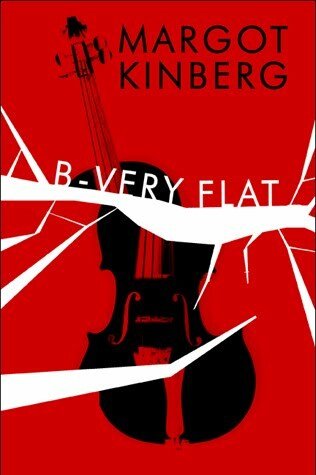 At nineteen years old, Serena Brinkman, an undergraduate violin major at Tilton University, seems to have a very secure future; she's got good looks, money, people who love her, and rare musical talent. She's also got a coveted Amati violin, a musical rival, friends whose secrets she knows, and an obsessed fan. Serena's dreams are shattered when she suddenly dies on the night of a major music competition. Serena's partner, sure that her death was not an accident, asks for help from Dr. Joel Williams of Tilton's Department of Criminal Justice. Williams, a former detective, becomes convinced that Serena was murdered, when he learns how unsafe her world really was. As he works with the Tilton Police Department to uncover the truth, Williams finds that Serena's looks, money, and talent, far from securing her future, made her a target." You can also read the author's excellent blog, Confessions of a Mystery Novelist, here, and my 9mm interview with the author here. Craig - *Blush* Thank you so much for your kind comments! :-). I do hope you'll enjoy the rest of the novel. And thanks for mentioning my blog and the video, too! I love this writer and blogger! She's so smart and her blog posts so informative. I want to read both of her books but I have to convince my husband to let me spend the money. I can convince him to let me buy $0.99 books or $2.99 books but anything more expensive is difficult. Thank you for the link to my review. I´ll be back and listen to Margot when I´m not watching Inspector Barnaby on TV.